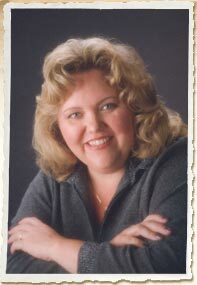 Mindy Starns Clark is the bestselling author of one nonfiction book and ten novels, all from Harvest House Publishers. Her books include the standalone mysteries Shadows of Lancaster County and Whispers of the Bayou, the nonfiction how-to guide The House That Cleans Itself, The Million Dollar Mysteries series, and the Smart Chick Mystery series. She has been nominated for an Inspirational Reader's Choice Award and has appeared on TV and radio stations across the country. A singer and former stand-up comedian, Mindy is also a popular inspirational speaker and playwright. 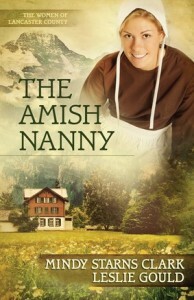 I recently heard from a reader of The Amish Nanny, who loved the book but said that she had caught an error, a reference to an Amish farmer with a tractor. She said, I’ve been told that the Amish don’t use tractors. When a new technology becomes available to a district, church leaders will evaluate its potential for causing harm to Amish life and values and then decide whether to accept or reject it. No technology, regardless of how labor-saving it may be, is permissible if the leaders determine that it will be spiritually detrimental to the community. Though the rules vary widely from district to district, many items are often approved for use without adaptation in Amish homes and farms, including calculators, flashlights, manual typewriters, gas grills, chain saws, inline skates, and more. Some districts allow manual lawnmowers only, though others permit gas-powered lawnmowers and even weed whackers. In many Amish homes and farms, other items are allowed as long as they have been adapted to work with non-electric fuel sources, such as propane or batteries. These include refrigerators, lights, shop tools, fans, copy machines, sewing machines, smoke alarms, some farm equipment, hot water heaters, washing machines, and more. 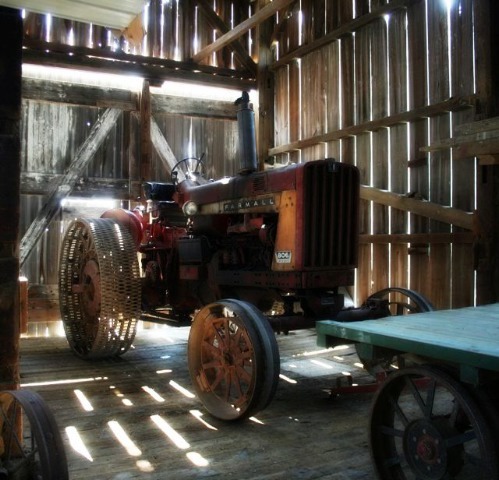 Tractors often must be adapted for off-road use only, lest they provide the opportunity to go too far from home. This usually means steel tires rather than rubber. In many communities, tractors are not allowed in the fields at all but instead may only be used inside or near the barn as sources for high-powered needs such as blowing silage to the top of silos, powering feed grinders and hydraulic systems, pumping liquid manure, and so on. In most cases, hay balers can be used in the fields as long as they are pulled by horses rather than self- propelled. I hope this info clears up any confusion about the Amish and tractors! I always love to hear from readers, but especially when it allows me to clear up any misconceptions and provide more info about Amish life and practices. My new book, Secrets of Harmony Grove, is finally out! Yay! I’m so excited, especially because I get to talk all about it tomorrow, live, with the delightful Suzanne Woods Fisher on her show Amish Wisdom. She’ll be interviewing me from 4-5pm CT on Thursday, Oct. 14th, so tune in if you can. To hear our interview, simply go here and click on the player in the upper right corner. PS – If for some reason you have problems with the above link, you can find the show at http://toginet.com/shows/amishwisdom. I know you love to read or you wouldn’t be here at Amish Reader. But if you also love to write, have I got a suggestion for you: Get yourself to this fall’s American Christian Fiction Writers Conference in Indianapolis, Indiana! ACFW is an organization geared toward meeting the needs of new and seasoned authors alike, as well as offering a venue for readers to learn more about their favorite authors and discover the vast array of choices available from the Christian Fiction market. Each year, ACFW hosts an amazing conference with classes taught by many of your favorite authors. The conference also offers opportunities to meet editors and agents, fellowship with other writers (aspiring and published), and celebrate the best in Christian fiction. The reason I’m talking about the conference here on this blog is because one of the sessions I’ll be teaching focuses on Amish fiction. Called “Amish 101”, the class includes an overview of the genre and the current state of the market, followed by an A-Z rundown of Amish life, practices, and beliefs. 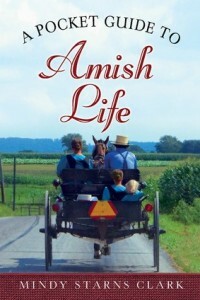 As the Amish fiction genre expands and more and more authors consider trying their hand at writing it, I thought it would be helpful to provide a full understanding of the “big picture”—i.e., why the Amish live the way they do and why their world is such an interesting place for Christian writers to explore. For more information, check out the ACFW website, where you’ll see that the conference is shaping up to be awesome, as always. I can’t wait to go. Hope to see you there too!